Here is the Hogwarts tower painting that I painted that started it all. We started with the background. We painted our backgrounds using pastel colors, but you can choose whatever colors you would like. I love working with watercolors because there are so many fun things that you can do with them. We dabbled with a few easy techniques to make our backgrounds. We used salt on the wet watercolors, which is always a favorite of mine because I love the cool effect and we also used oil pastels to make some resist designs on the paper before painting. My daughter used a white oil pastel to draw magical swirls around her paper. When she painted over it, the pastels resisted the paint leaving the white swirls. Make sure that your brush is damp. The resist works best when the brush is not too dry. We both used layers of colors to produce our magical skies. Once we finished painting, we set them aside to dry completely. 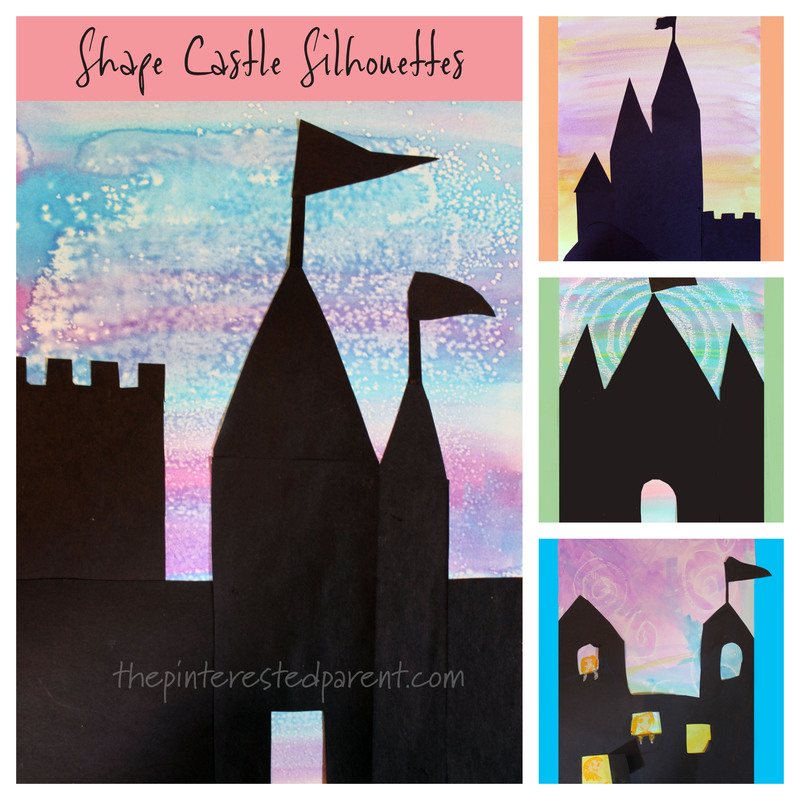 While we waited for our backgrounds to dry, we cut out our castle shapes. Actually, I cut out shapes and my daughter wanted to cut hers out in one big piece. Once the paint has dried arrange your shapes or your full castle over your backdrop and use a glue stick to glue on the pieces. And voila.. you have a castle that is pretty as a fairytale.